Cassius: On this day, we reach back to hallowed antiquity, to bring you a recreation of the second fall of the mighty Carthage!... On the barren plain of Zama, there stood the invincible armies of the barbarian Hannibal. Ferocious mercenaires and warriors from all brute nations, bent on merciless destruction, conquest. Your emperor is pleased to give you the barbarian horde! 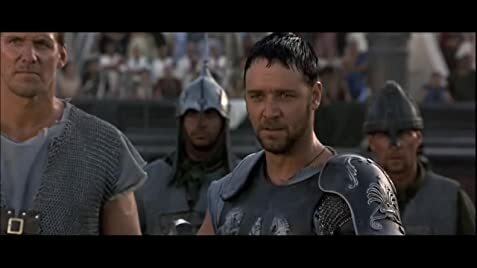 Maximus: [while Cassius continues his introduction] Anyone here been in the army? Contains some unused scenes not included in the movie. Courtesy of Amiata Media Srl. Q: Where is Zucchabar, the province where Maximus is taken to train? Q: Why did Commodus murder Maximus' family? An intense Roman epic, a la "Ben-Hur" or "Spartacus," it was nice to see something like this made again. It had been since the 1960s that we had seen a 3-hour extravaganza like this. Like Ben-Hur, this is a story of a successful man who loses everything thanks to an evil man, and then has to fight his way back up to seek revenge on that man and to obtain his freedom back. It's a tried-and-true formula. This movie doesn't go to excess on the violence as some of the other more recent epic films did, such as "Braveheart" or "The Patriot." 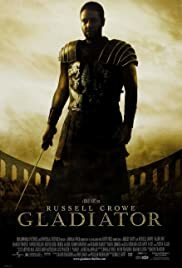 The acting is excellent, beginning with Russell Crowe, who has established himself as one of the best actors of today. Joaquin Phoenix also put himself "on the map" as an actor with his portrayal of the evil "Commodus." He's so annoying you want to slap that sucker, which means he's doing a good job acting. 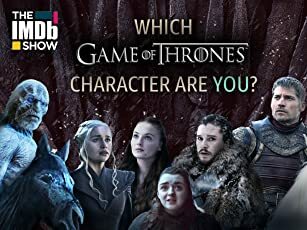 Kudos to the rest of the cast, too. Too bad they don't make more of these type of films, as they did in the 1950s and 1960s. 62 of 86 people found this review helpful. Was this review helpful to you?